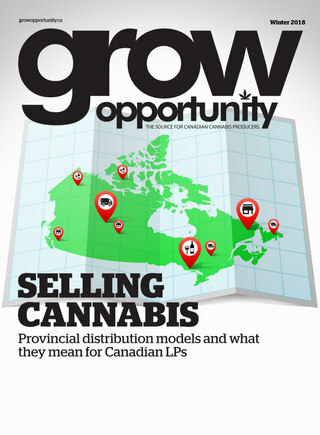 The mandate of Grow Opportunity is to help cannabis producers grow and manage their business and help propel the Canadian cannabis industry. From growing and cultivation to business management and operations, our content aims to engage our audience from multiple fronts: print, online and events. In this issue we are announcing a new initiative that will bring to the forefront the unsung heroes of the cannabis industry. Behind every successful LP is one or several masterful growers, who are passionate about the plant. These growers and master growers are the soul of every cannabis enterprise, ensuring that every bud that blooms from each plant conforms to the company’s high quality standards. The growers are the closest to the plant and have the most influence on the production outcome. They are the most critical part of a licensed producer’s operations and yet, they typically remain in the background, usually content to be in the company of the plants. I think it’s time to change that. I am happy to announce the launch of the first-ever Canada’s Top Growers Award, presented by Grow Opportunity. As the name implies, this program recognizes exceptional cannabis growers across Canada. We are proud to be recognizing outstanding cannabis growers who are responsible for nurturing some of the best quality cannabis in the country. We want to shine a spotlight on these individuals who exemplify integrity, innovation, leadership and ethical standards in cannabis cultivation. This is not a popularity contest. Winners will be evaluated based on their demonstrated abilities and knowledge of cannabis cultivation. We have assembled a group of industry leaders with significant knowledge on cannabis culture, who will independently evaluate our nominees based on the following criteria: exceptional skills, knowledge of growing practices, ethical principles, leadership and innovation. We are choosing from a pool of nominees from across Canada and recognizing the most exceptional ones. This is where you, our readers, come into the picture. Are you or someone you know an exceptional cannabis grower? Nominate them for Canada’s Top Growers Award, by telling us why they deserve to be recognized as one of Canada’s Top Growers. Nomination is simple. We have an online nomination form where you can tell us all the wonderful things about the grower you are nominating. Once nominations are closed, our esteemed judges will evaluate all the submissions and, based on a set judging criteria, select the best candidates who will be named the 2019 Canada’s Top Growers. The winners will be announced in the September/October 2019 issue of Grow Opportunity. Nominations are now open and will close June 25th. To find out more about this program, including the identity of our judging panel, visit www.canadastopgrowers.com. One of Canada’s Top Growers could be someone you know.